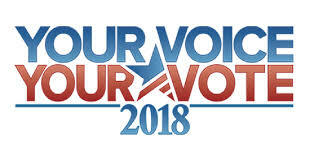 A We have nothing else to report because this message important for ALL Americans. 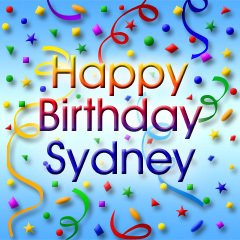 We here at the AAN Team Headquarters wish to extend a very Happy Birthday to Sydney and we hope Sydney has the greatest birthday ever. Also wishing Sydney a Happy Birthday is Gabrielle, Pup- Pup, Pandie, Jenna, Sheepishly, Stripes, Joann, Ray, Pearl Swirl, Bun Bun, Reggie, Nola, Blueberry, Stitch, Teddy, Deery, Red Panda, Peanut, Rocko, Wishful, Daisy, Ice Cude, Sting, Fetch, Halo, Nibble, Pepper, Shelby, Slush, Cancun, Legs, Penny, Swoops, Waddle, Zig-Zag, Safari, Speckles, Leona, Glamour, Bamboo, Babs, Spells, Lucy, Smurf, Hip, Ellie, Spots, Hello Kitty’s, Candy, Penguino, and Freddie, all of which are doing the Happy Birthday Dance in the middle of the room. 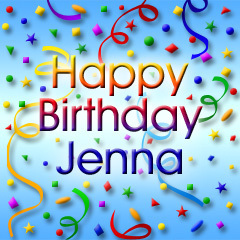 Happy Birthday Jenna from all of us (Gabrielle, Andrew, Joann, and Freddie). We wish you the greatest birthday ever with many blessings today and every day. Recently we have noticed a Fage Yogurt Commercial that caught our eye. Not being a yogurt fan we did pay attention at what the commercial says “That many people consider Fage Yogurt the best they ever tasted and that there are some folks that have never tasted it.” We must admit that the commercial sure makes the yogurt appealing and so after seeing it several times we went out and bought some of the yogurt. (Effective commercial we must say). If you click on the picture in the upper left you will see the commercial and if you notice the “topping” flows out of the side container very smoothly, but when we opened the newly bought product, it would not flow out at all. This might be because the Safeway we purchased it from has their refrigeration units set on the high side and the topping was to cold to flow out. So now we thought, “What! Do we have to wait until the topping thaws to eat the yogurt?” So we pondered the situation for a few minutes. What we did was dipped our spoon into the topping and then dipped the spoon into the yogurt and swirled it around. Then we tasted it and we have to tell you it was GREAT! We are now Fage Yogurt fans. It was so good that after we finished the first container we moved immediately on to the second container. Yes, we had to do the spoon swirling again, but it was well worth it. Another great taste! Next trip to the store (Not the Safeway that has the temperature set to below zero in the refrigeration units) we will be purchasing about a dozen containers of various flavors. The two we tried were Honey and Apple Cinnamon Raisins. This time we will expand our choices, but will include the two we already tried. We have nothing else to add at this time except we a ready to run out the door and go to the store for more FAGE. Tonight’s show was the results from last night’s (June 26th) performance of the third twelve of the forty eight Act’s chosen this season. The four acts chosen tonight will move on to the semi-finals. The first three acts to move on are chosen by the viewing audience. The fourth final act is chosen by the judges to move on. The judges were Piers, Howie, and Sharon. The great Stevie Nicks performed her new single “For What Its Worth” from her new album “In Your Dreams”. Later in the show she performed again, this time the classic “Edge of Seventeen”. “Fighting Gravity” (Came in 3rd last season) performed and they were one of our favorites last year. Once again they “knocked our socks off” tonight with one of their original performances and said they were putting together more and hoping to maybe do a show on Broadway or Vegas. For more news they can be followed on Facebook. We have nothing else to report at this time except to ask Piers “Why did you pick Professor Splash”? The contestants did two routines tonight one with an “All Star” as a partner and the other a routine with one of the other contestants as a partner. The “All Star” dancers are past competitors from previous seasons of SYTYCD. The dreaded Two Step is usually a ho-hum style but tonight this pair was amazing. Sasha did an excellent job with the style and “nailed” this routine in all aspects. The routine itself was not to our liking because it did not challenge Caitlynn, but she did a good job with what she was given, especially because she was out of her speciality. This was the best Jazz Style routine we have seen in many weeks. Jordan absolutely “nailed” the technique, power, and danced fearless. Week after week Melanie delivers outstanding performances and this was another outstanding one. It was simply amazing and beautifully danced. Melanie is another fearless competitor that knows how to “bring it”. The main theme of this routine required fast paced steps and Ricky did a pretty good job with it. He did have one lift that was messy, but overall it was a good job. Last week Jess was great and this week he topped it. Jess was way out of his specialty and showed he has the “swag” required for this style. We think this was Tadd’s best performance of this season. Every week Tadd whos specialty is “B-Boy” takes on and conquers the style of the week. He always surprises us with his excellent dance technique and performance. Note: The “?” above for style is because Cat Deeley once again neglected to announce the style prior to the routine. “Wow!” What a great performance and beautifully danced by Marko and Allison. This performance brought tears to Lady Gaga’s eyes and many others. This was one of those special dance moments and we are honored to have seen it happen. Sweet! Another boring style made entertaining by this pair. Both dancers sparkled. Both dancers showed “swagger” and “nailed” this routine. The chemistry seemed to be missing but both dancers did a good job with this style. This performance received a standing ovation from all the judges and audience, which was rightly so. This was a double “Wow!” performance. It had power, great technique, strength, and energy. A perfectly danced routine created by the one and only Sonya. 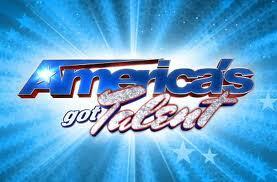 Tomorrow night will be the results from tonight and two dancers will be going home. We have nothing else to report except to comment on Lady Gaga’s judging ability and we think she was one of the best ever guest judges. Her comments were exactly “spot” on. What we liked best was when a dancer did not have the exact technique as judged by Nigel and Mary, which point out when a dancer does not do the moves according to the strict “ballroom” rules, she pointed out that the dancer was expressing himself / herself and they were making the style current. We totally agree with that assessment and applaud her for her comments on this subject. Have you ever noticed that if you want to see “ballroom” dancing its usually only on public television? That’s because it not current and requires stringent rules in the techniques based on “stone age” thinking. Maybe, just maybe, the “ballroom” community should do a little rethinking and update the rules to allow the dancers a smidgen of creativity. That might just bring Ballroom to the mainstream on major television outlets. By the way Lady Gaga will not be on the judging panel tomorrow night but she will be performing. Bravo! See all of you out there in cyberland tomorrow for the results and we hope you voted for your favorite dancer. We have nothing else to report at this time. Have a GREAT weekend folks. Thirty one dancers started tonight and the judges had the chore of cutting the count down to twenty. As the dancers were chosen to join the Top twenty from Vegas week, they danced “live” mostly when a group of four or five was completed. This year we are starting to season with a Top 20 and a format change. Starting next week the dancers will be paired up boy – girl for each of the routines. Then when we get to the Top 10, the dancers will be paired with an “All Star”. The “All Star” dancers are pasted contestants from SYTYCD. This was the format last year and it proved to be a great change, especially starting with the Top 10. Boys – Ricky Jamie, Chris Koehi, Wadi Jones, Tadd Gadduang, Robert “Woo-Man” Taylor, Marko Germar, Nicj Young, Jess Leprotto, Mitchell Kelly, and Alexander Fost. Girls – Melanie Moore, Miranda Maleski, Sasha Mallory, Iveta Lukosiute, Calrice Ordaz, Jordan Casanova, Missy Morelli, Caitlin Lawson, and Ryan Ramirez. After watching tonight we are really excited at the quality of dancing we witnessed. It was like watching the best of the best, both in the dancing and the choreography. The dancers this year are pushing the choreographers to come up with astounding routines because the talent is huge this year. If you were watching tonight you saw the quality of the dancing this year when the top 10 girls danced together and the top 10 boys danced together. Then finally the last routine of the night when the top 20 danced together it was like we were watching well seasoned dancers. It sure was amazing. We have nothing else to report at this time except to say we hope to see you next week when the competition begins and the challenge goes out to the viewers to vote for their favorite dancer. The tickets to Vegas have all been given out at the auditions and new the dancers begin “Hell” Week. 160 Dancers started this week and when it’s all over the Top 20 will have been chosen. Judging tonight were Nigel, Mary, Tyce, Robin with special guest judges Debbie Allen and Adam Shankman. Tonight is usually a blur for the viewing audience. Three days of intense dancing is compacted in to two hours counting the commercials. The dancers started with a solo performance to show off what get them to this point. 114 Dancers were left after the solos. Then there were five rounds of specific styles: Round 1 Hip-Hop, 2 Broadway, 3 Ballroom, 4 Group (Random styles), and finally 5 Contemporary. This covered Day 1 through Day 3 finally ending up with 31 dancers making it through all the rounds. Tomorrow night the Top 20 will be chosen and the season will officially begin. There were many surprises tonight along with some really inspirational stories, one of which we followed and that was the two sisters, Sasha and Natalie from the LA Auditions. We started tonight wondering of both of these dancers would make it through to the end of tonight episode. It proved to be a real challenge for Natalia. Late night on Day 2 during the rehearsal for Round 4, she experienced dizzy spells and the medics had to give her some attention. She made it through the Group Round, but then she was sent to the hospital before starting the final round and missed the performance. Sasha made it through and we all waited. When Natalie came back we found out that they found she had diabetes, but since the week was coming to an end, was cleared to continue dancing. Nigel told her that she had a free pass for missing the contemporary round and was still in the competition. There were others who fought through injuries and completed round 5, but to us Natalia has been a constant inspiration though out this season. “Bravo” we say to her. Another great story was Derion “D.C.” #20491 – B-Boy also from the LA Auditions. D.C. made through round 4 and was being cut after round 5. D.C. said he wanted to continue and not go home yet. Then Debbie Allen stepped up and told D.C. that if he was willing to come back next year she would make sure additional dance lessons would be provided to him so he could return. We think that Debbie is a standup lady and an inspiration to many. Tomorrow night the remaining 31 dancers will start with solos and the judges will pick this years Top 20 and the official season 6 will begin.